Mama tells me that humans do this weird thing called “dieting” around the New Year. Apparently, you humans eat way too much food during the holidays, gain weight, and then starting in January, you make resolutions to lose the weight … (Though I hear the rumor is most of you forget about these so-called resolutions come the spring). I don’t understand you humans. I do not like low-fat healthy food. Ever. I hate it, and yes, though Mama feeds me very good food for my meals, I still think your human food tastes better … especially bacon. I love bacon and anything fattening and bad for me. Mmm, bacon! 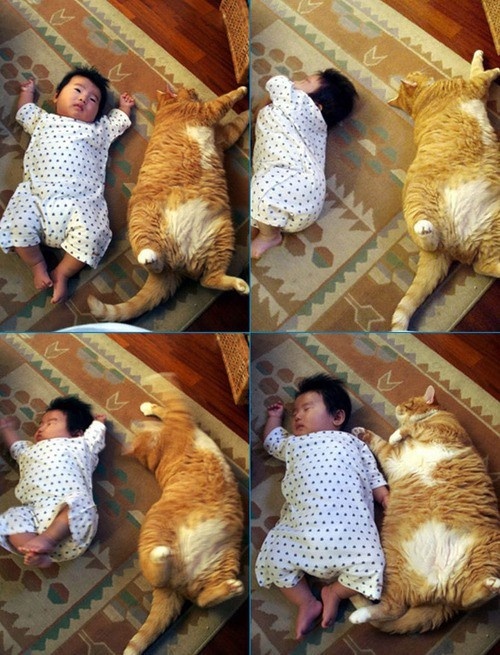 So, Mama and I found these Fat Cat pictures on Pinterest, and wanted to share them with you. Maybe they will inspire you dieting humans to stick to your diet. You don’t want to end up as fat as these kittens. 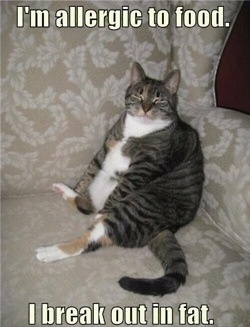 We are not sure how it is possible for cats to get so fat, but apparently, their humans over-indulge them. They are pretty chunky, but oh so cute! Enjoy! 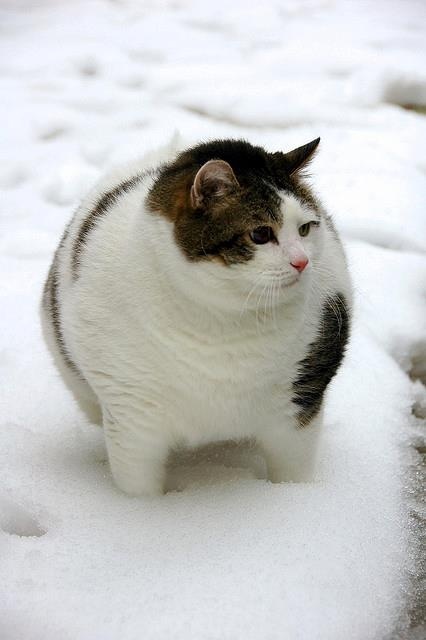 I’m a big snowball! Watch me pounce! The Vet and I are friends. I’m bigger than a human baby! Help! 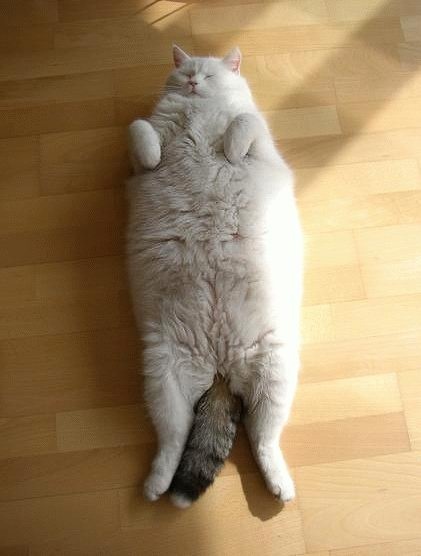 I’m so fat; I can’t roll over! Snuggling with the baby is fun! I’m bigger than he is! I’m the best of both worlds – fat and fluffy! 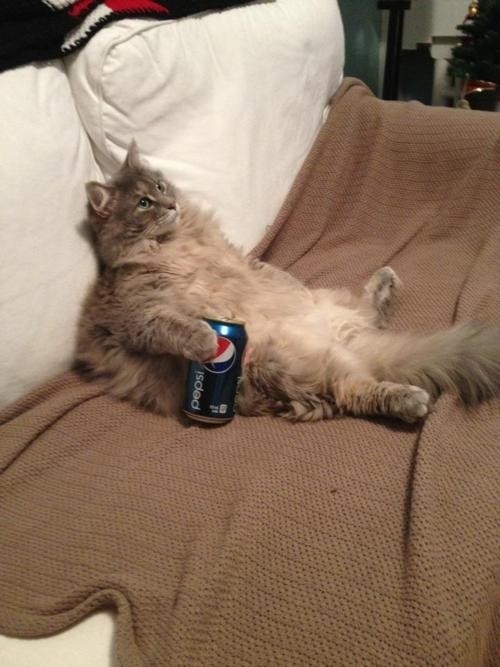 It is possible that this Pepsi has made me fat. Soda is bad for you, or so they say! 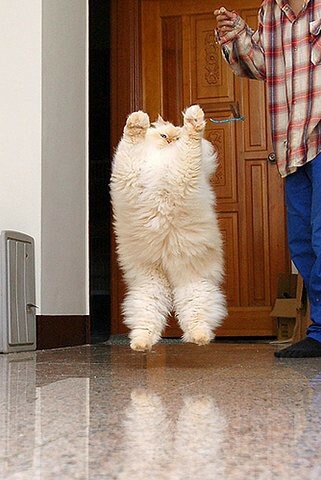 Watch how high I can jump! Yeah! I can get that bird! 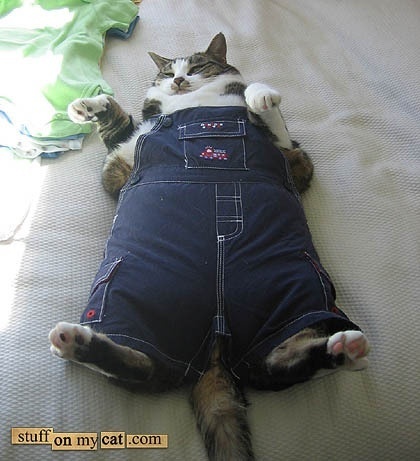 Who doesn’t love a fat cat in overalls? Too cute! 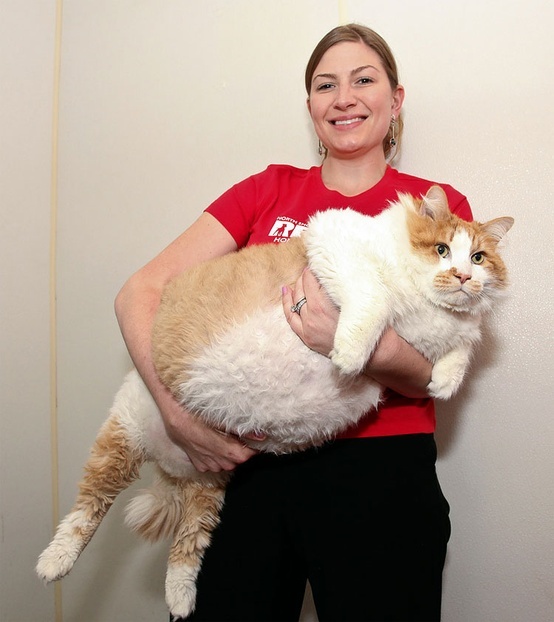 For the most part cats who get fat are ill – animals should eat what they need…not more. And yes, like everyone else I’m dieting!!! 5:2 diet for me, it seems to work brilliantly! 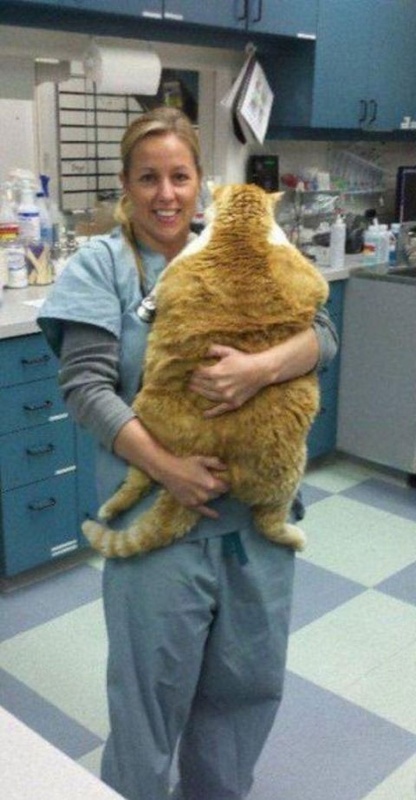 OMD, and I thought my cat bro Bert was fat but I guess we will rename him a little bit chubby as he does not compare to your findings at all. Funny thing is that we are all girls…mom, me, my Kuvasz sister, my cat Sophie and then there is the only boy and the only one with a weight issue, cat bro Bert! What nice to find your blog! Regards from Shih Tzu Melody and her mom in Sweden!